2nd Embroidery Text -- Exact Text! 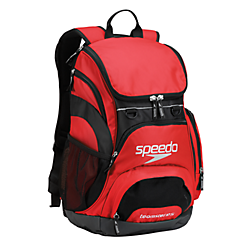 My speedo backpack arrived quick! I love the look of my fresh backpack! Thank you. Great backpack. They did a great job contacting me to get everything just perfect. Will definitely use them again. Great purchase!!! My daughter loves it. My girls love their backpacks! Very stylish & great look. Absolutely wonderful to work with - great products, fast turn around on delivery. This is my 3rd purchase and would recommend your business for sure! Thank you ?? Fast delivery, exactly what I wanted! Great service and great product - very satisfied! Please note that it takes 5-10 business days for in-stock items to be embroidered. If timing is important, please contact by email before you order to to confirm the items is in stock -- we try to have all items in stock at all times, but supplies do vary throughout the year. Embroidery costs do not factor into our free shipping offer. Expedited (faster) shipping does not expedite customization time. If you receive free shipping with your embroidery order, all items will ship together. Embroidered items cannot be returned or exchanged. If there are any special instructions for the embroidery, they must be included with your order. We cannot replace or redo work not specified in the original order for free. The cost of team items does not count toward free shipping. Non-custom team items must be returned within 15 days of shipment. If you are not a member of this team, we may not honor the team price. Additional discounts cannot be applied to this item due to team discount.